The world’s biggest problem is that not enough people are working on the world’s biggest problems. –- Jonas Salk, in interview on Open Mind, 1985. If something becomes unimportant to people, it gets scrapped for parts; if it becomes important, it turns into a symbol and must eventually be destroyed. The only way to survive over the long run is to be made of materials large and worthless, like Stonehenge and the Pyramids, or to become lost. The Dead Sea Scrolls managed to survive by remaining lost for a couple millennia. Now that they’ve been located and preserved in a museum, they’re probably doomed. I give them two centuries – tops. — Danny Hillis in Scenarios, Wired, 1995. 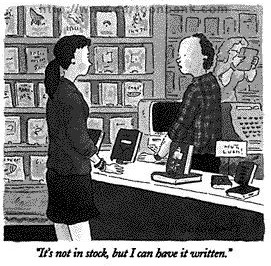 Lucky accidents seldom happen to writers who don’t work. You will find that you may rewrite and rewrite a poem and it never seems quite right. Then a much better poem may come rather fast and you wonder why you bothered with all that work on the earlier poem. Actually, the hard work you do on one poem is put in on all poems. The hard work on the first poem is responsible for the sudden ease of the second. If you just sit around waiting for the easy ones, nothing will come. Get to work. –- Jonas Salk, in interview on Open Mind, 1985.This is as good as it get’s in making decisions in your life.